They mean a scarf you can wear like a hood. Something about the word "snood" brings out the Dr. Suess in me. It's such a fun word to say. Go on. Snoooooooood. Anyway, the tastemakers are inaccurate in calling a hoody scarf--or any sort of neckwrap--a snood, because this it ain't. 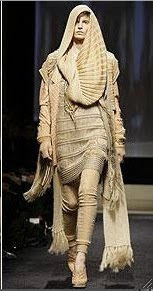 The covering made trendy by Missoni (top) and others right on down to Gap is, properly speaking, a cowl. Meanwhile, a snood, properly speaking, is some sort of ribbonlike or crocheted or cloth catchment for the hair, worn at the back of the head. Wiki tells us that the word comes from the Old English. In olde tymes in the northern regions of the British Isles, snoods were worn in ribbon form by women to indicate that they were unmarried. Throughout their span of popularity, traditional snoods kept long hair tidily contained--either for social propriety or for professional safety. 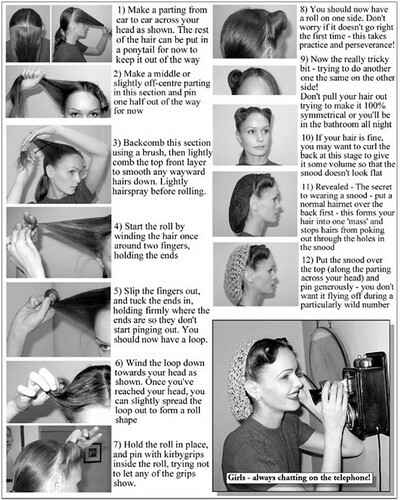 Here, a how-to posted by 16 Sparrows at the ever-informative Fedora Lounge. You have got to read this, it's hilarious. Crocheting snoods became a popular pasttime in WWII, and patterns are easily found on eBay. I think they look especially great under hats, as a more formal alternative to a ponytail. 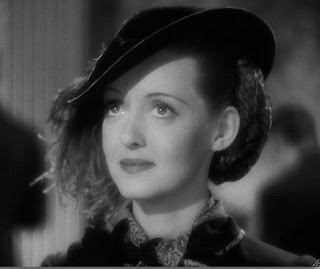 And if anyone can tell me from which film this wonderful shot of Bette Davis originates, I'll write a bad poem in your honor. Well, whatever one wants to call them, I prefer the vintage ones. The modern is more like a scarf, which is still attractive!